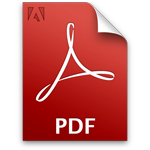 Certification is synonymous with food safety and food quality. It is the best way of showing that our hams and shoulder hams are prepared, produced and processed meeting the highest standards. Our certification body is ENAC.  The Regulating Board for the Designation of Origin "Jamón de Teruel" / "Paleta de Teruel" was granted acreditation for its certification activities by the National Accreditation Body (ENAC) on 22nd July 2011, following three years of hard work to meet new demands in compliance with UNE EN 45011. This ascertains the fact that the Regulating Board is an independent organisation with well-qualified and experienced professionals who are entitled to evaluate the work done by all the players involved in the preparation process of "Jamón de Teruel" / "Paleta de Teruel". How to recognise a Teruel Cured Ham? Is placed around the hoof in Teruel Cured Ham and Shoulder Ham. 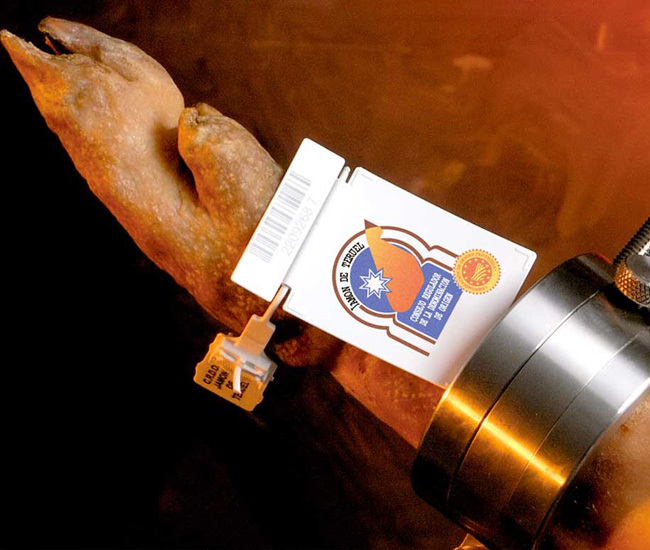 It is a coded, safety seal used for what is commonly known as "traceability": it allows to know all the processes underwent by a specific ham/shoulder ham. 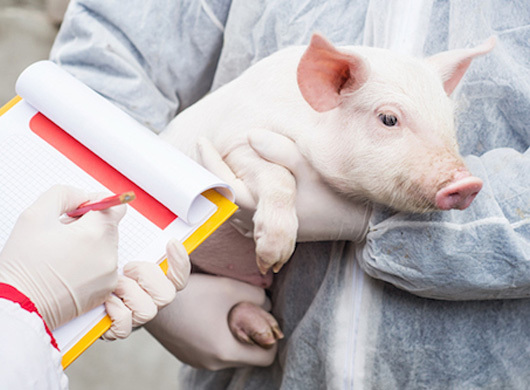 Every ham or shoulder ham that does not meet quality parameters demanded by the Regulatory Board has its hoof removed. Together with the word TERUEL, is fire-stamped on the Ham / Shoulder ham back skin. The packaging for boneless, portions or slices of ham and shoulder ham must include a numbered label on the back with either the word "Jamón" or "Paleta" on it, as well as the corresponding Denomination logo. 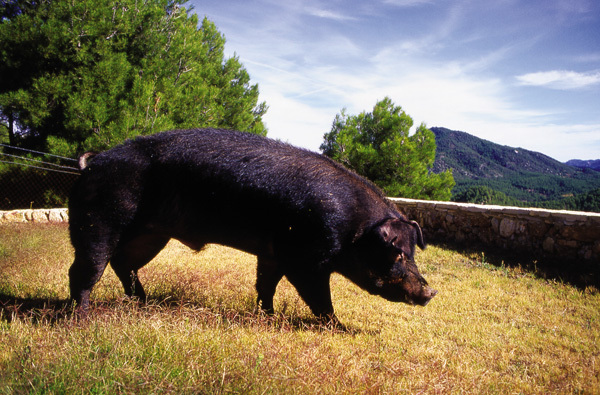 Pigs intended for Teruel Cured Ham and Teruel Cured Shoulder Ham production are born, reared and slaughtered in the province of Teruel. These swine are obtained from Landrace and Large White crossbreeds in the maternal line and Duroc pure breed in the paternal line. They are mainly fed on cereals grown in the fields of the province of Teruel and other neighbouring areas, which give them a healthy, natural nutrition. Duroc breed produces high quality meat with an ideal intramuscular fat content, while meat provided by Landrace and Large-White crossbreeds is characterised by its juiciness, texture, conformation, and colour. Here in Teruel, without leaving the province a delicate flavoured cured ham is produced probably the best white pork cured ham in the world. From the lowlands of Matarraña and Bajo Aragón, places where history, culture and a strong tradition in pork specialties are core, to the mountain areas, almost touching the sky, of Albarracín, Gúdar-Javalambre and Jiloca where the clean pure air dries delicious hams and shoulder hams. In 1984 the Agriculture Council of the Government of Aragón approved the Regulation of Designation of Origin "Jamón de Teruel" for Teruel Cured Ham. In March 1985 the corresponding ratification was marked by the Minister for Agriculture affairs. 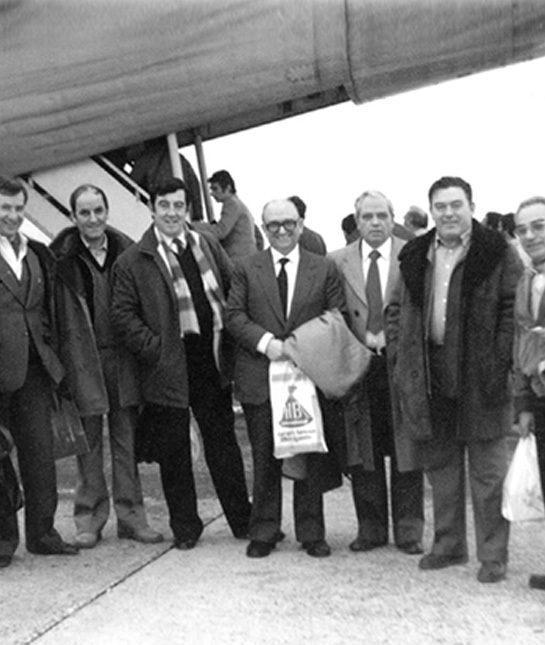 From 18th to 20th May 2005 the 3rd Cured Ham World Congress took place in the city of Teruel. Mr Felipe de Borbón - who was then Prince of Spain - opened the symposium, which gathered over 600 delegates from all over the world. In September 2005, during the course of the 21st Teruel Cured Ham Fair, the Regulating Board managed to prepare the longest cured ham sandwich in the world. Measuring 230 metres long, 130 kg of Teruel Cured Ham – or, in other words, 32 hind legs – were required for making it. In 2009 the Regulating Board became a corporation governed by public law with its own legal personality, financial autonomy and full ability to work towards the fulfillment of its purposes. In February 2014 Teruel Cured Shoulder Ham ("Paleta de Teruel") was recognised in Regulations as a Protected Designation of Origin meat product. of the Designation of Origin "Jamón de Teruel" / "Paleta de Teruel"